Testing your learning management systems is critical to ensure a smooth user experience, and preparation is essential to avoid problems that can take weeks or months to correct. An efficient testing process helps you identify defects and fix them in a risk-free environment before you deploy them to your users. 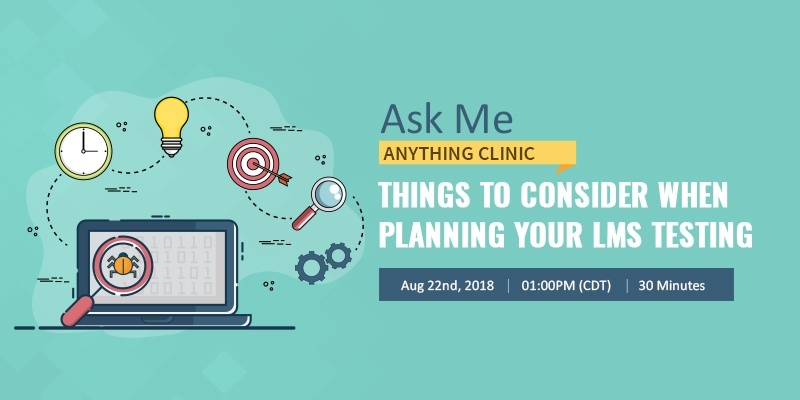 Join our free Ask Me Anything Clinic on 'Things to consider when planning your LMS Testing' and learn to implement best practices into your testing strategy. How do I build my Test strategy? What should be included in my test plan? Learn how you can ensure a smooth validation process for your Learning Management System. Fill in the form on your right to get the recorded AMA clinic.